Hostinger Review: Real Value-for-Money Web Host! 1 Hostinger Review: Real Value-for-Money Web Host! It is hard to come across affordable web hosting affordable web hosting that offers features and high reliability that comes with premium services. Hostinger is the perfect example of such a web host. Once I read positive Hostinger reviews and chose this hosting provider, I realized that high quality shouldn’t have to cost high. In this review, I would like to explain why Hostinger’s web hosting solutions are genuinely high quality and reliable. Hostinger offers a single free domain when you sign-up for their Premium or Business account. If you choose more domains, they are available at some of the cheapest prices. 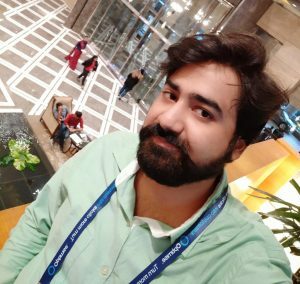 I started my first website with a free domain from this host and then created my second website at a cheap price. The all-in-one, the free-domain plan starts from just $3.49 a month. 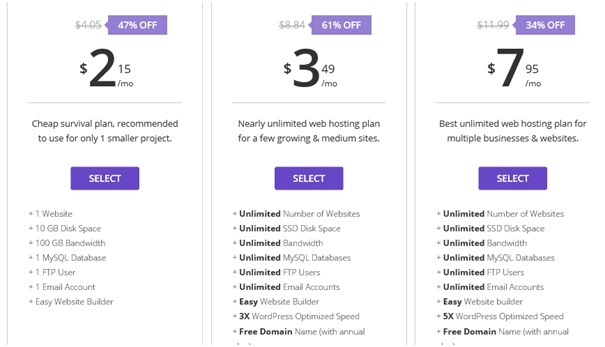 Make sure you choose the annual plan for the free domain. The domain gets activated instantly and there is no need to wait for 24 hours or more, which is usually the case with other hosting services. There is a huge difference between conventional storage systems and the latest SSD technology. Hostinger provides SSD storage in its servers, which means exceptionally fast performance. The company claims that this technology enables around 4 times the read/write speed compared to the earlier storage technology. And it is not difficult to notice the change in speed and performance of your website. Another advantage of SSD storage is that it has a higher level of reliability. As and when your website grows and its resource demands grow, this is the storage technology that will address its needs. Other web hosts provide SSD hosting at a premium price, but not Hostinger. 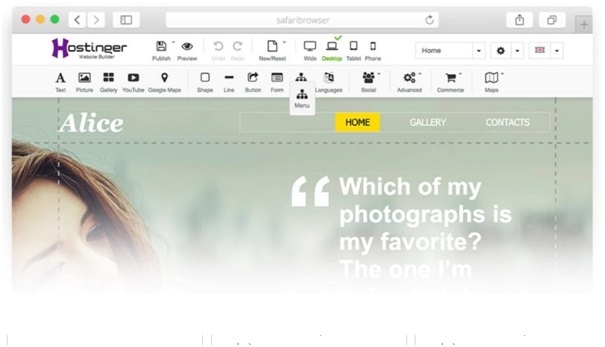 Not only is the site builder easy to use, putting your website live is also a breeze. The site builder comes with an auto-installer. Use the drag-and-drop builder to create a website that is customized to your requirements. The auto-installer allows you to install a wide range of applications (including WordPress) with just a click. The site builder features hundreds of free templates, allowing you to choose something unique which can then be customized to achieve a completely unique look. You can change almost all the elements and effects with the drag-and-drop tool. There is no need to have any advanced IT skills or previous experience in site-building to be able to use this site builder. When it comes to your website, you cannot ignore the importance of security – both for your own data and for your visitors. SSL certification has become a must-have, especially considering that Google has now begun penalizing websites in search rankings if they do not adhere to strict security measures. Yes, Hostinger offers SSL certificates too. That is why I upgraded to their Business plan which comes with free SSL security certificate. The plan costs just $7.95 a month. In fact, the level of protection provided by this web host is multi-faceted. It also protects my website against DDoS attacks as it uses Platinum BitNinja DDoS protection. Add this high level of security will also impress your visitors and clients to visit your site and carry out transactions. Customer support service quality is one of the main reasons why many website owners switch between web hosts. Hostinger delivers quick, responsible and professional support that is available 24/7 and all days of the year. It never happens that you are unable to reach a customer support professional. I personally prefer the live chat feature that puts me in contact with them instantly. So overall, Hostinger is an affordable yet highly reliable and high-quality web hosting service provider. Their paid plans start from just $2.15 per month, but I would recommend anyone to pay just a dollar or more a month and get the Premium plan with many free features and unlimited resources. Creating your website is easy with this host, and so is managing it. Talk about security, uptime (99.9%) and reliability, and this host is already trusted by more than 29.6 million clients. I couldn’t find any reason why I would want to leave this web host and move to another one. I would recommend it to everyone, whether you are a beginner or an expert. I have been using hostinger for hosting my news website and it has met all my expectations. I like your review because you talked about all it’s features and I am also very impressed with their quick knowledgeable chat support. Google DNS vs OpenDNS vs Comodo DNS vs Norton DNS – Which is Best DNS Servers? Apple Watch vs Fitbit – Complete Comparison Which one is best to Buy?